Selling your motorbike in Perth ? Rather than sitting around at home waiting for nosy low ballers coming around for an inspection or having to become a master in negotiation just to get a reasonable price for your motorbike, why don’t you just rely on the experts at Are You Selling? 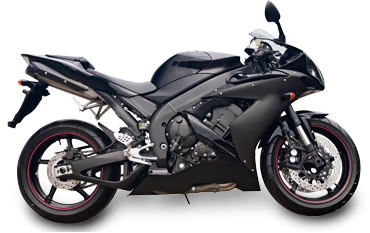 We offer you over 35 years’ experience when it comes to buying used and unwanted motorbikes. We do it all for you so you don’t have to lift a finger. You don’t have to worry about organising a roadworthy certificate or other bits and pieces of documentation, all you have to do is get in touch with us! Like what you hear? We’ll organise for your bike to be picked up and you leave with cash in your pocket. It really is that easy, so request a quote today! Where Can I Find Someone To Buy My Bike in Perth? You're probably wondering why in the world we're into buying old bikes. Well that's an easy question to answer. We're here for those people looking to get rid of their motorbike without a lot of hassle, and those fed up with the bike-selling routine that wonder 'how can I get someone to buy my bike in Perth?' The simple answer is that we know how to find those people that are looking to buy your motorbike. And since we do business across Australia, we buy heaps of makes and models. Now that you know about our business, perhaps now the question of 'where can I find someone to buy my motorbike in Perth?' has finally been answered. You can just give us a call or drop us an email and we'll get back to you with a reasonable and fair price for your used bike.